Although polygamous marriages are generally frowned upon by modern Western societies and mainly have negative connotations, it is possible to identify positive externalities for both parties involved in this arrangement. The American sci-fi film Gattaca from 1997 presents us with a future society where children are conceived through genetic manipulation in order to endow them with the best hereditary conditions. Now, two decades later, designer babies have become an intense topic of discussion that challenges some of our most intrinsic and fundamental values. The recent decade, which has witnessed a formidable proliferation of Bitcoin is worrying. What aspires to be the 21st century’s digital gold is already traveling to many corners of the world without a traffic officer or signal lights. Skepticism aside, it is still worthwhile to point out the relevant advantages Bitcoin has to offer to consumers in particular. As the first of its kind, Bitcoin may at the very least serve as an innovative exemplar for future development of cryptocurrencies and digital payments. What if you passed by someone or something lying in deadly pain, wrenched in the cold waters of the Styx? The good-willed member of society is obliged to assist, to guide, and to save. We should not, and must not, become the victims of cowardice and lethargy. This is when courage is needed and when the lone ordinary becomes the mystically heroic. The Turk (1700s), Da Vinci (2000), and AlphaGo (2015) are only some of the many “robots” that have brought about revolutionary changes to the field of artificial intelligence (AI). Although the proficiency of such robots has already been proven, the public has had mixed opinions on the topic of these robots replacing many areas of mankind’s lifestyle. Moon is looking for a radical approach involving the complete phase-out of nuclear power plants. I believe that because of the potential dangers of the power plants, some of them should be closed, but a complete phase-out is definitely not a viable option. 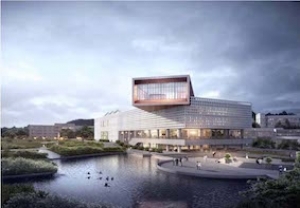 With our climate, geography, and advanced nuclear technology, I believe that Korea should instead place nuclear energy at the center of the nation’s energy policy initiatives and dedicate more effort into the research and development of the technology. 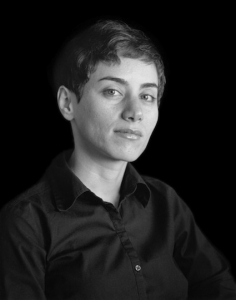 At the International Congress of Mathematicians held in 2014 in Seoul, Stanford mathematics professor Maryam Mirzakhani became the first woman honored with the prestigious Field’s Medal. Born in Tehran in 1977, she died of cancer this July, aged only 40. Her daughter was six years old. 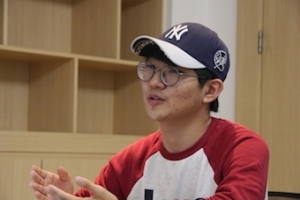 For this issue of The KAIST Herald, we interviewed the KAIST library team to find out more about the recent remodeling project that has been going on since the beginning of this year. I never thought graduate and undergraduate buildings within the same campus could feel so different despite being only a few hundred meters apart. Although a distinctive line can be drawn between the concept of “truthfulness” and “usefulness”, the increasing demand for a comprehensive set of information in today’s pursuit of knowledge means that we should be critical of the selectivity and the integrity of the knowledge presented to us.